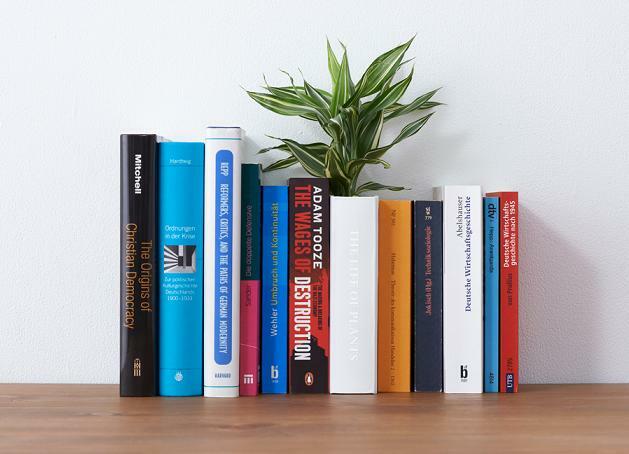 The world of avid readers revolve around books, so why not give a touch of bookishness to your home and make it adorable and who knows you may even motivate others to get into the habit of reading more books! 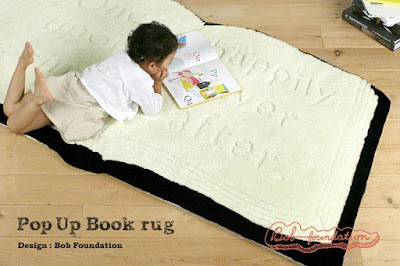 Storybook Carpet: The Storybook Carpet looks real sweet and for sure is going to be a perfect addition in your kid's room. Its called the Pop Up Book Carpet designed by the Bob Foundation, and comes from Japan. Its one side says Once Upon a Time and the other side says Happily Ever After. It gives you a cool way to initiate interest in kids for reading books. Buy Now. 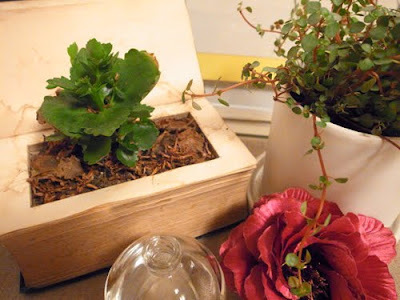 Book Planter: The book shaped planter comes with small container for soil for the plant to grow, its revealed once you open the book. You can place it on its own or along with other real books for creating a surreal effect and it looks like the plant has grown out of the paper pages. It comes from Tokyo-based design studio YOY. More info. 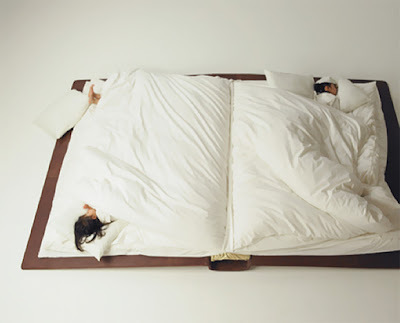 Book Bed: To overcome the lack of space faced by urban-dwelling Japanese families, photographer and innovator Yusuke Suzuki came up with this innovative bed design. 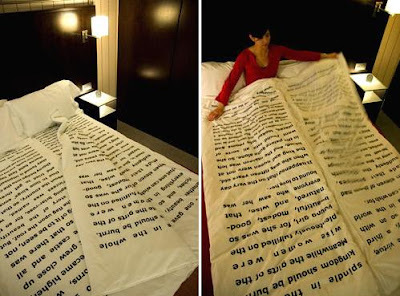 This 'fold-up' bed is in the shape of a book; when opened at night, its pages act as a duvet and pillows and it comes with large cut out shapes and illustrations. 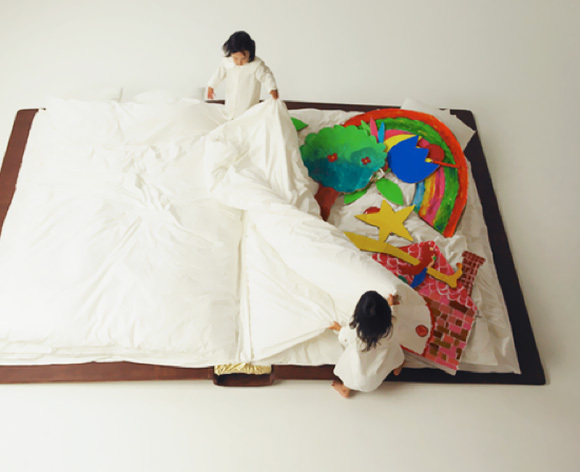 And during the day it can be folded up and used as a playmat. More info. 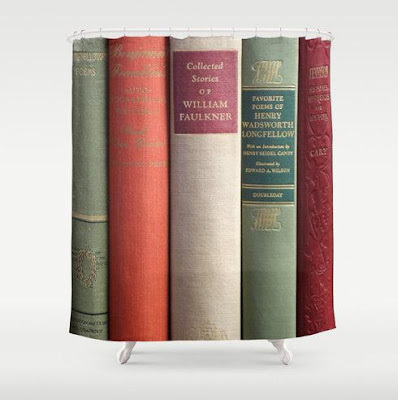 Books Shower Curtain: The Books Shower Curtain is 100% polyester with image printed directly on the curtain that lets you give a of literary touch to your bathroom. Buy Now. Book Stair Decals: How about turning your staircase into a distinguished library using these cool book stair decals? 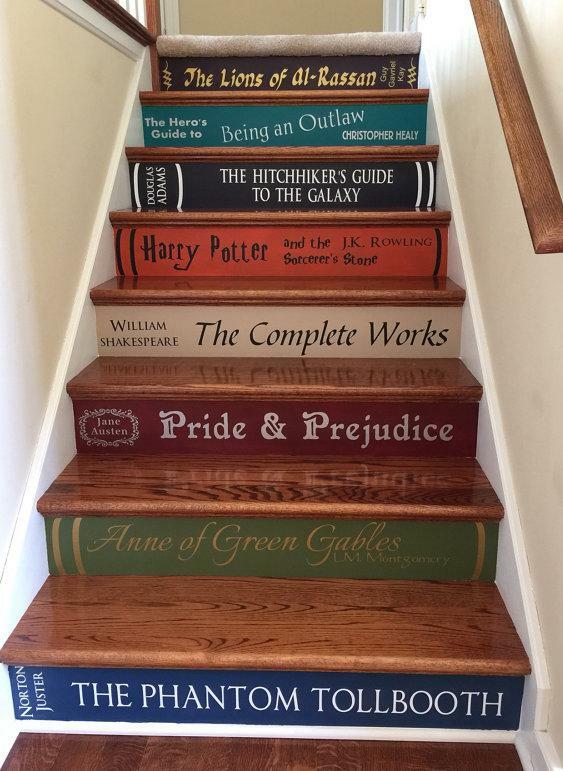 These are customized, so you can choose any title you want or can come up with something of your own. Buy Now. 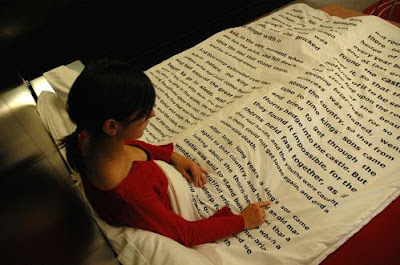 Bedtime Stories Blanket: An interesting way to read books right before you go to bed, part of an interesting project named Sleepless. More info. 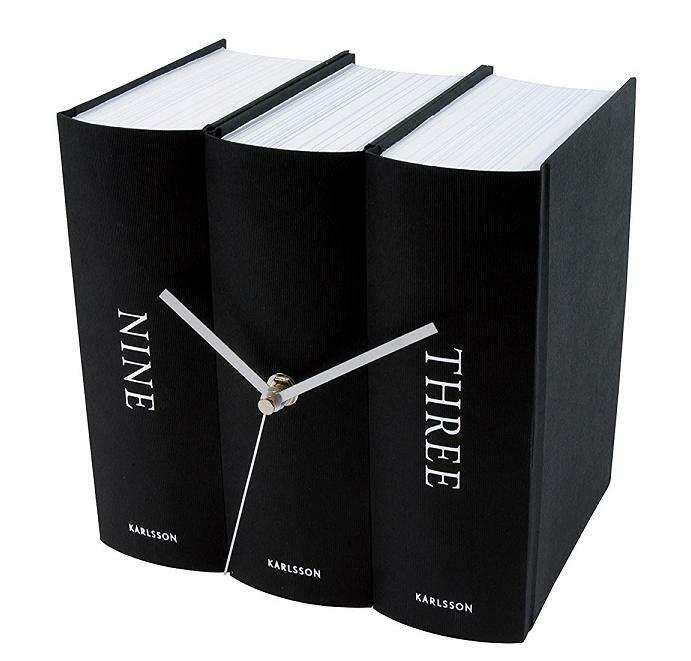 Book Clock: The Book Clock is a set of black books that function as a clock, perfectly disguised on your bookshelf and displays time. Buy Now: $48.66. 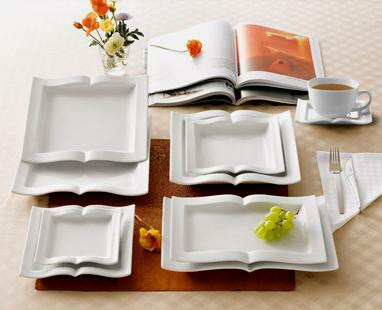 Book Plates: The Book Plates are perfect for a wide variety of cuisines. Buy Now. 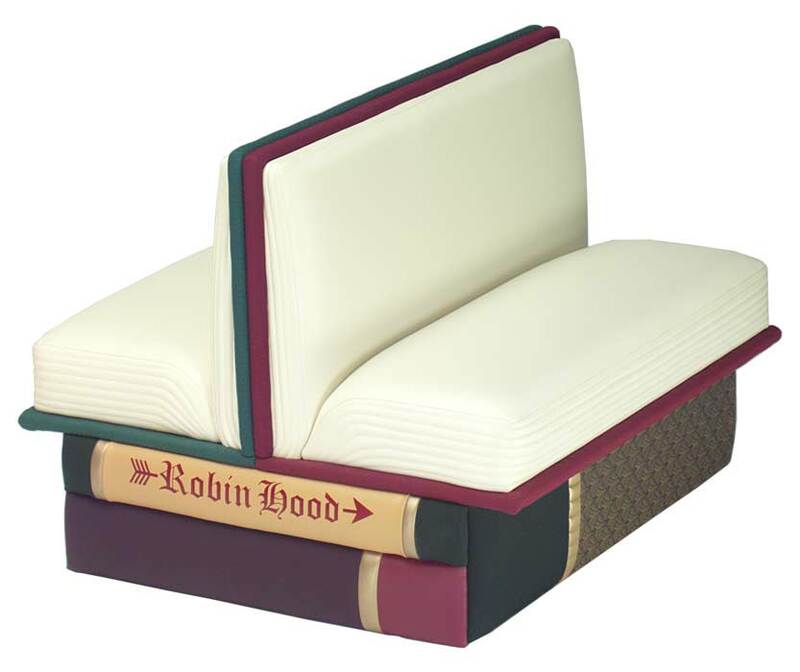 Book Bench: Book Bench is avpart of book-themed furniture created by Big Cozy Books. 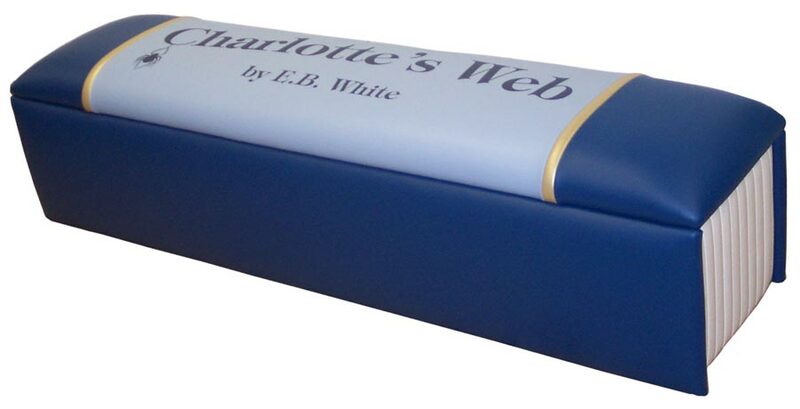 It has perfect height for sitting and are available in 6', 7' and 8' lengths. It's sure to create the right type of setting in your library. Buy Now. 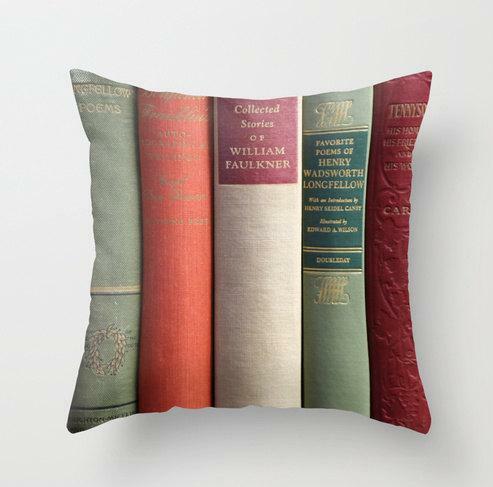 Books Pillow Cover: The Old Books Pillow Covers are sure to look great in your library. These come with print on both sides and feature a hidden zipper. 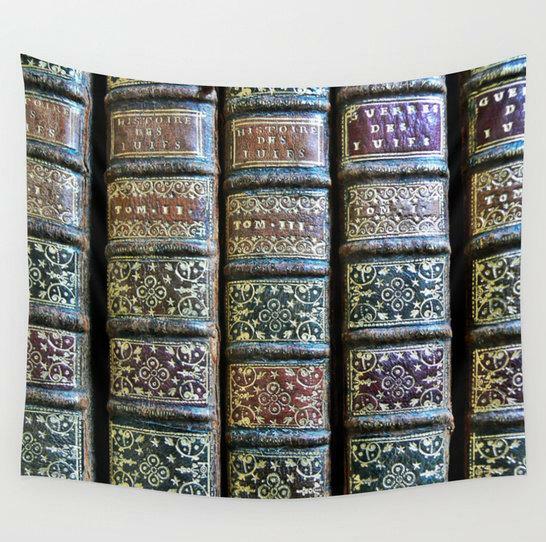 These are available in three sizes: 16x16, 18x18 or 20x20. Buy Now. 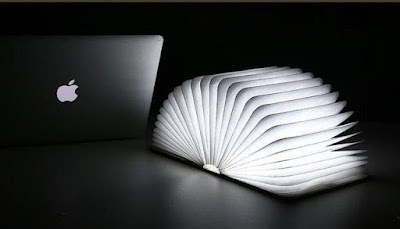 Folding Book Night Light: The Folding Book Night Light folds right back on itself and gives out light around 360 degrees. Its USB rechargeable; lasts up to 6 hours, and comes with 2500mAh. 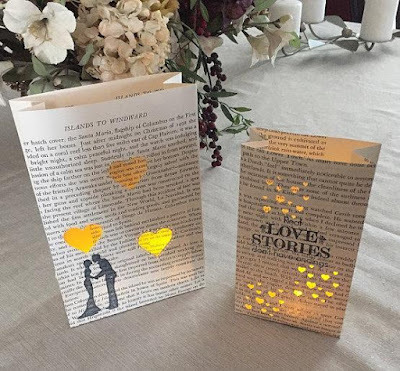 You have two lighting color options to choose from - yellow and white. Buy Now: $55. Classic Book Bookends: These cool bookends are designed to look like books, keeps your books in place and also stores your small things in their drawers. Buy Now: $59. 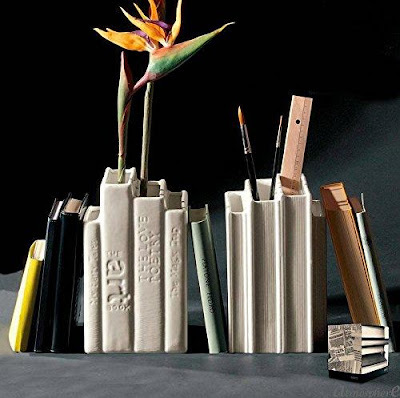 Bibliotek Vase: The Bibliotek Vases from Seletti is made out of porcelain, looks like a set of books, makes a perfect addition to your home library. Just put your favorite flower in them or you can even use them to hold your stationary like ruler, brushes, pens and more. 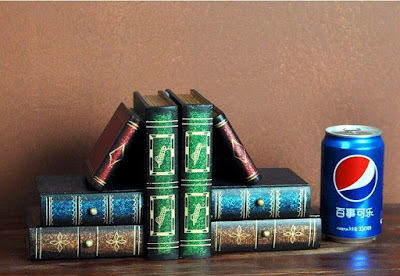 What more, you can even use them as bookends. Buy Now: $121.26. Book Page Luminary Bag: The Book Page Luminary Bag is fashioned out of vintage book pages, looks cool as table centerpieces for homes, parties, events and more, available in three sizes. Buy Now. 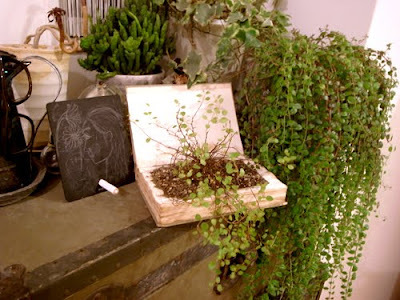 Book Planters: These cool book planters are called Honbachi; reuses olds books in a good way, grows succulent plants, and sure to look good anywhere you place them. Buy Now. Open Book Booths: Open Book Booths also come from Big Cozy Books, part of their book-themed furniture. These are designed for standard height tables, for comfortable work top level. Buy Now. Old Books Tapestry: Old Books Tapestry is a beautiful and colorful wall art that compliments your home. Its made of 100% lightweight polyester with handsewn finished edges, can be used indoors and outdoors. Buy Now. 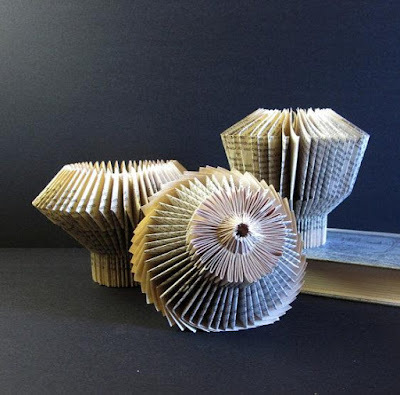 Book Paper Sculpture: The Book Paper Sculpture is folded from the pages of a used paperback novel, looks good on your desktop, as a table centerpiece and more. Buy Now. 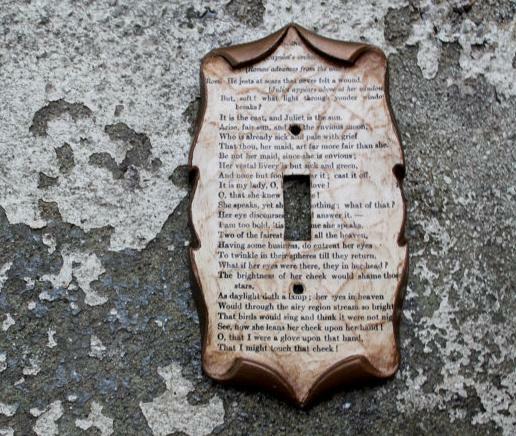 Library Book Switch Plate Cover: The Library Book Switch Plate Cover is a vintage metal Amerock Carriage House switch plate covered in a decoupage book page, measures 5.75" x 3.25", and is perfect for your indoor library. Buy Now. 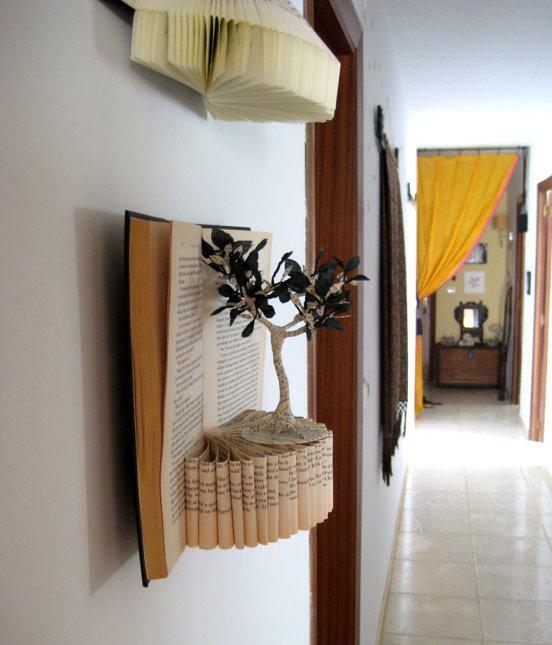 Book Paper Art Sculpture: The Book Paper Art Sculpture is made from a discarded Spanish book; the tree features book paper and black silk paper leaves, and can be placed on a shelf or fixed on a wall. Buy Now. Books: 1 | 2 | 3 | 4 | 5 | 6 | 7 | 8 | 9 | 10.